← E-Cat vs Symphony – Who Wins? 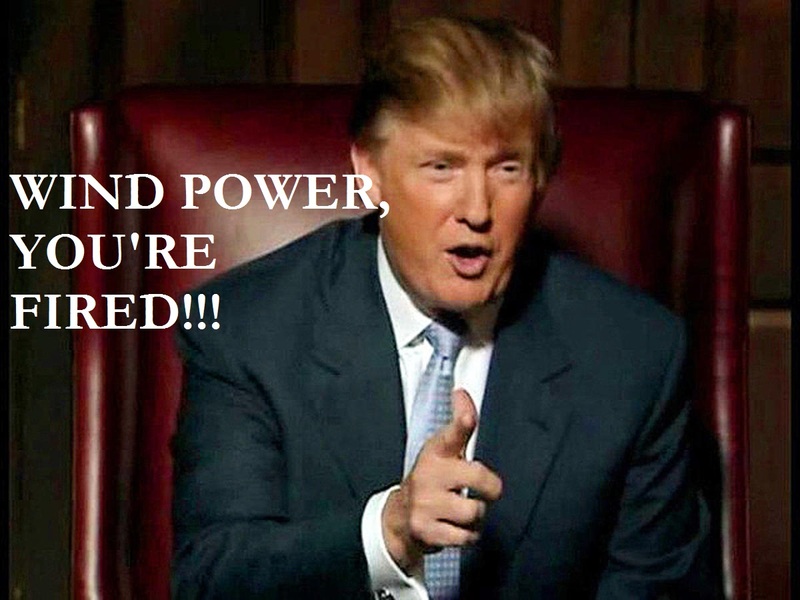 Donald Trump Hates Wind Energy, Bill Gates Agrees! Looks like the Donald has no love for Wind power whatsoever. According to him, Wind turbines are “huge and unsightly”, they have “destroyed some of the great beauty of the world”, “they kill birds”, they’re “obsolete” and “all over the world, they are being abandoned”. Regarding Scottish wind farms in particular, he was adamant that without government “subsidies it’s impossible to envision how this ill-conceived proposal will ever get built.” Bill Gates agrees, “Renewable energy can’t do the job. Government should switch green subsidies into R&D”. Bill Gates himself plans “to invest $2Bn in renewable energy,” just not wind or solar. He said there was an urgent need for “high risk” investments in breakthrough technologies and that a “miracle” on the level of the invention of the automobile was needed to meet projected energy needs by 2030. I think the biggest mistake the world is making when it comes to Renewable energy (wind, solar, etc), is that their whole agenda is being driven by a very wrong motivation, i.e. Global Warming and the carbon foot print. Considering that one volcanic eruption spews more carbon dioxide & sulfur dioxide into the atmosphere than an entire year of all man-made activity, or that oceanic memory, sunspots, & solar flares also have an effect on the global climate, not to mention Climategate, or the use of computer simulations to produce fictitious predictions of global warming, and the human greed that pushes this agenda for selfish political/economic gain, it’s probably best to focus more on Energy security and independence, plus cleaner atmospheres and terrestrial ecosystems, rather than global warming and the carbon footprint. 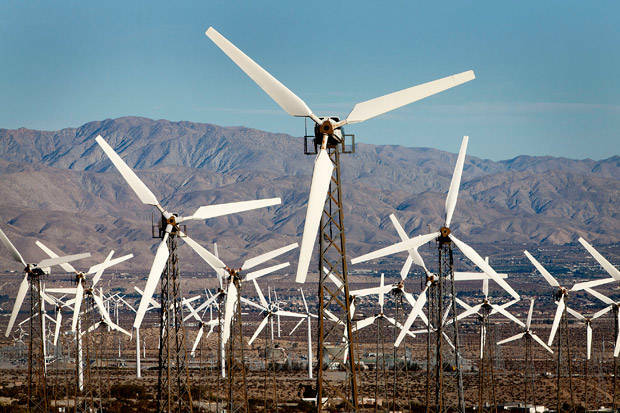 Energy Return on Investment (EROI) – According to a meta study, in which all existing studies from 1977 to 2007 were reviewed, the EROI for wind can be as high as 35 years. For the smaller, more common, 2 MW turbines, the EROI is on average 16 years. EROI is strongly proportional to turbine size, so the larger, late-generation turbines average at the high end of this range, at or above 35 years. Cost – At $5,000 per KW for an 8 MW wind turbine, and $250 per KWh of battery storage, it costs about $100m to install an 8 MW system with battery backup that lasts only one day. The cost of using wind farms to produce all or most power would therefore be beyond astronomical. There’s no battery technology that’s even close to allowing us to take all of our energy from wind, not even the Tesla Powerpack, as it’s necessary to deal with the long periods of time where you don’t have wind. Reliability – Wind can be quite sporadic and requires large battery storage systems to provide continuous power. Noise: In 2014, a Veterinary study attempted to determine the effects of rearing livestock near a wind turbine, the study compared the health effects of a wind turbine on the development of two groups of growing geese, preliminary results found that geese raised within 50 meters of a wind turbine gained less weight and had a higher concentration of the stress hormone cortisol in their blood than geese at a distance of 500 meters. Therefore, it’s time for LENR to arise. As for solar, like I said before, solar energy is good but in and of itself cannot meet our energy needs. It can, however, support the energy source that can. Remember, just as the Sun is the greatest energy source for this planet, we unfortunately do not eat the sun. Everything we eat, however, ultimately can be traced back to the plants that exist because of the sun. In much the same way, solar is not the be-all and end-all of energy, it can be an enabler, providing the requisite power for technologies such as LENR and Fuel Cell Systems. This entry was posted in Uncategorized and tagged bill gates, birds, cost, donald trump, LENR, Low Energy Nuclear Reaction, renewable energy, wind. Bookmark the permalink. 5 Responses to Donald Trump Hates Wind Energy, Bill Gates Agrees! A level-headed and sensible perspective. Nice to have a change from the media shrillness on the topic. I would offer this perspective on wind turbines. They are indeed big, unsightly and have other drawbacks. I would liken the current generation of wind harvesting machines to the early days of computing, when an entire building had to be devoted to a single computer, with one floor devoted to cooling. Now an entire building’s worth of computing resides in a notebook-sized device. It was similar with the development of the laser printer, a whole building’s worth of machinery has been transformed into a device that sits on a table. I would suggest that a similar transformation is possible for harvesting wind power, albeit at a slower timescale than characterizes the transformation in computing. The current wind turbine is nothing more than a wind mill, and in concept is little changed in the last 500 years. I see your point. Something like bladeless wind turbines would probably do the trick. However I can’t see this happening in the next 100 years.